Navigating your way around the family friendly accommodation of the Solitary Islands Resort in Wooli, couldn't be easier. 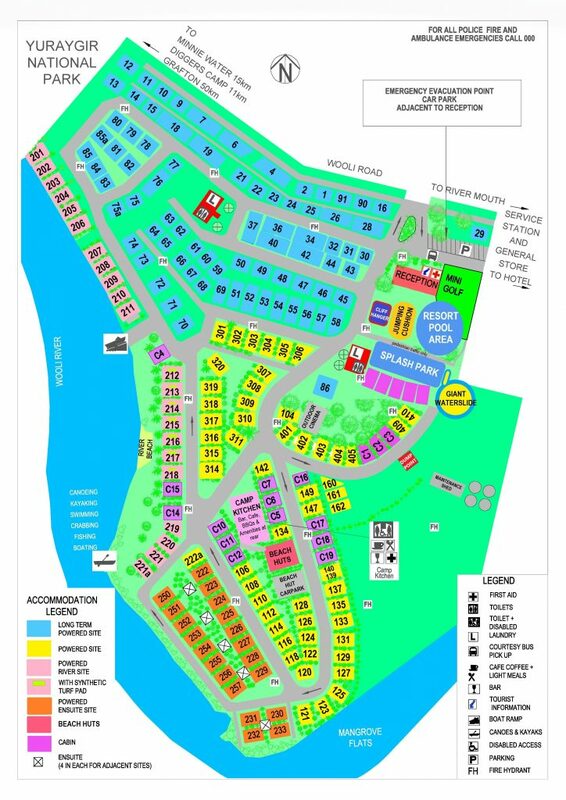 A copy of the Solitary Islands Marine Park Resort map will be provided when you arrive. Follow the signs located around the resort or use our interactive map below to familiarise yourself with the resort and facilities prior to your arrival. No matter which direction you head, all roads lead to great family fun for all! Brand new splash park & 120m long GIANT Waterslide opened late 2018 & is EPIC!